Public voting is now open for the Rolex World Sailor of the Year Awards. 2016 Olympic Gold Medallists in the 470 Class, Hannah Mills/Saskia Clark (GBR) and Sime Fantela/Igor Marenic (CRO) are nominated for the prestigious female and male Rolex World Sailor of the Year Awards 2016 in recognition of their outstanding performances and Olympic Gold medals. Public voting is now open until 1200 hours UTC on Monday 7 November. After the public voting has closed, World Sailing's Member National Authority votes will then close at 17:00 UTC on Monday 7 November. The Awards ceremony will take place on Tuesday 8 November at the Casa Llotja de Mar in Barcelona, Spain and attendees on the night will have the final opportunity to vote. Spurred on by missing out on London 2012 gold and being made to settle for silver, Hannah Mills and Saskia Clark built their Road to Rio looking to vanquish any regrets or what ifs they had from 2012. Leading up to Rio 2016, their build up had been near flawless. Gold medals at the 2015 Sailing World Cup Final, silver at the 2015 World Championships and two 2016 World Cup golds from Hyeres and Weymouth and Portland to their name, Mills and Clark were a force to be reckoned with. As those around them at Rio 2016 almost imploded, Mills and Clark kept their attentive focus on the task ahead and finished within the top eight in every race. 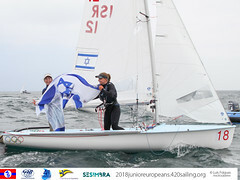 In the penultimate race of the series the British pair had put enough points between them and their rivals that only a disaster in the Medal Race would see them lose their grip on gold. Sailing a relaxed Medal Race, the pair came alive the moment they crossed the finish line, sailing straight to Flamengo Beach to celebrate with the thousands that watched them sail to victory. When Igor Marenic moved in with Sime Fantela's family as a young sailor, their eyes were set firmly on achieving an Olympic gold medal for their country. What formed was a friendship that morphed into brotherhood and a team dynamic that many can only dream of, ultimately laying their path to glory. Their bond, hunger and competitive spirit turned them into world beaters throughout the nomination period as they broke Mat Belcher and Will Ryan's consecutive run of world championship wins. Halting the Australians in their tracks Fantela and Marenic won gold at the 2016 World Championship, following up with further victories at Sailing World Cup Hyeres and Weymouth and Portland. At Rio 2016, the Croatians picked up where they'd left off from the Worlds and Sailing World Cup series, demonstrating consistency that not even the Australians could match. 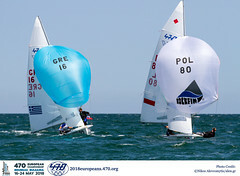 A points buffer meant all they had to do was keep the Australians and Greece's Pavlos Kagialis and Panagiotis Mantis at bay during the Medal Race and gold would be theirs. 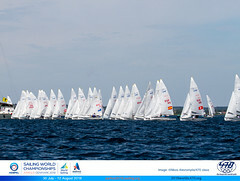 They did not fail to deliver and returned to Croatia with its first sailing gold medal to a heroic welcome.